Made from nylon reinforced pvc. Complete with hems & eyelets for fixing or hanging. An economical way to promote your surgery or event. We offer a wide range of sizes for our banners. These are designed to be used outside and can be hung or fitted to the building, wall or fence. 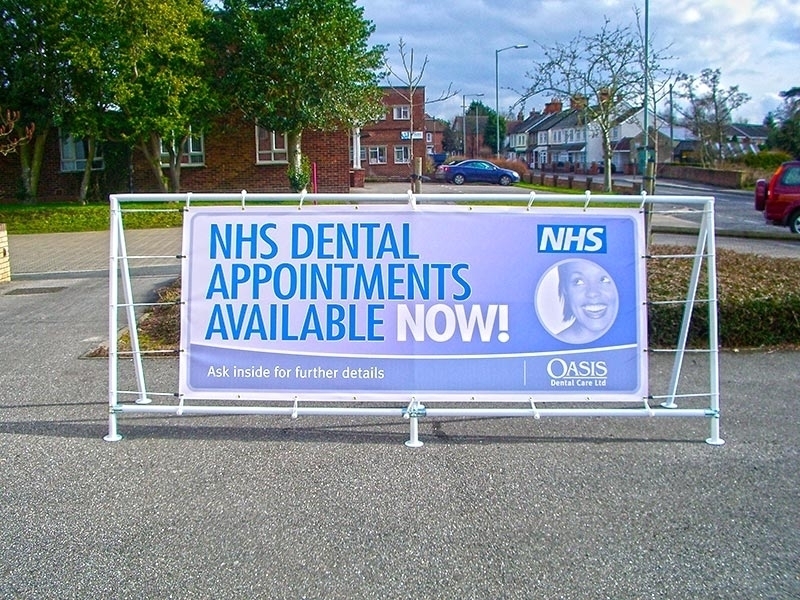 We can supply self standing frames to display banners on if a suitable wall or fence is not available. Our banners are printed on the latest generation of U.V. switchable ink printers that will print your image or text in perfect colour. Designed to work as an addition to your surgery's sign, these banners are an excellent addition to your marketing or special offers and events promotion.